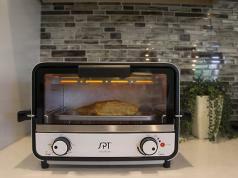 Here is another beautiful toaster oven that lets you bake, broil, cook pizzas, and make cookies, bagels, and everything in between. 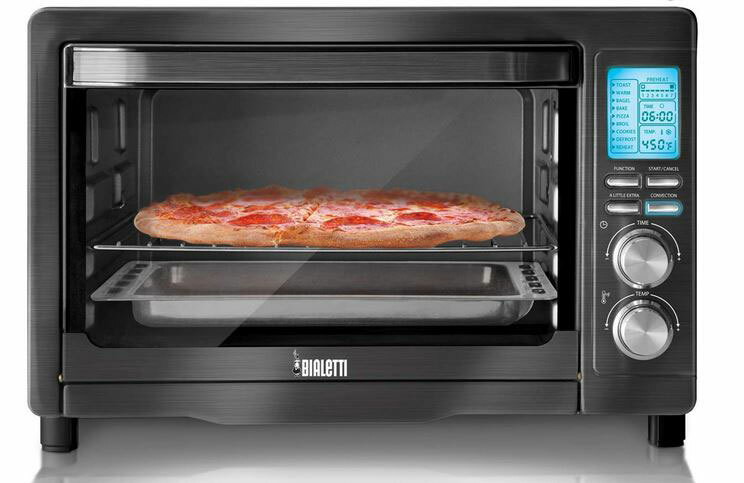 The Bialetti Convection Toaster Oven can fit up to 12 inch pizzas. 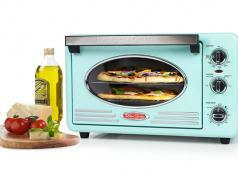 It has 1800-watts of output and temperature control up to 450 degrees. You get 3 rack positions to prepare your food. 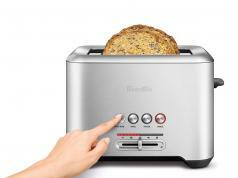 It comes with 9 pre-programmed cooking functions.